IDG partner’s with nationally recognized apparel decorators that operate state-of-the-art facilities. We offer proprietary decorating techniques that allow us to provide decorated apparel like nobody else in the area. 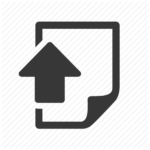 Our services include Screen-Printing, Applique, Laser Etching, Embroidery, and a variety of digital print processes. When coupled with our unique design capabilities, our full line of apparel and accessories, as well as full service packaging and fulfillment services IDG has you covered in style…literally. Apparel items include Golf Shirts, Tee Shirts, Hats, Bags, Jackets and other imprintable sportswear items. 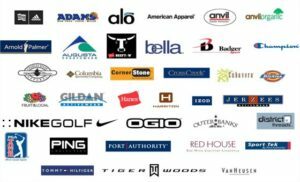 Brands include The North Face, Nike, Under Armor, Eddie Bauer, Columbia Sportswear, Port Authority, District Threads, Sport-Tek, CornerStone, and Precious Cargo, Jerzees, Hanes, Gildan, Nike Golf, Anvil, Fruit of the Loom, Port & Company, Red House, District, Precious Cargo, OGIO, New Era, Russell Outdoor…and much more.